Aster A is a modern, convenient property with 3 bedrooms and 2 bathrooms. Divided over two floors , there's a well equipped kitchen and dining-lounge area , together with laundry facilities and a bathroom on the first floor. The bedrooms and another bathroom are located on the second floor. 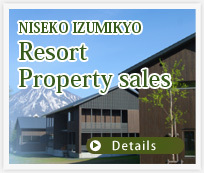 The property is well suited to a self catering Niseko holiday. Coming to Niseko with friends or a large group? If so this property can be used in conjunction with the connected identical property next door therefore providing both privacy and conveniency for larger group stays. Internet, air conditioning, outdoor deck area and off street parking.